If I ever I would like to say that I had contributed to a couture collection the new Spring/Summer 2011 from Christian Dior would be the one! 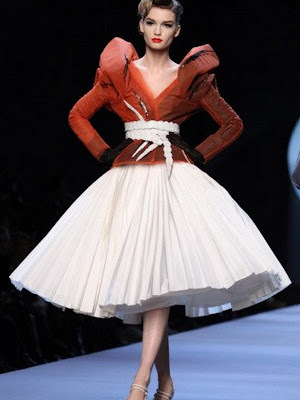 Today in Paris Haute Couture Fashion Week started with a bang showcasing Christian Dior's Spring/Summer 2011 collection. This style of ultra feminine chic is Dior at its best. The catwalk was adorned with pencil skirts, pleats, feather-embellished evening gowns, and vintage glamour a plenty in a rich opulence of colours. The makeup was kept to an elegant 1940's/50's feel with a slick of rich red lipstick and strong black lined eyes. After growing my hair out of a long crop last year, I managed to reach just above shoulder length but decided that long hair is not for me and had it all cut back off again. 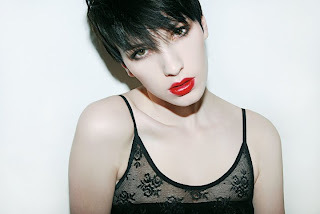 But while I was growing it back long I had a full fringe cut in and really loved it. I now have a side fringe that I find really hard to keep sitting in place and stop splitting up into little strands of hair so i am thinking of a change. 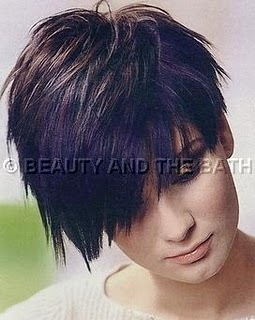 These are the pictures I am going to take to the Hairdressers. What one do you prefer and think i should have? Get ready to be swept away this year by another fabulous export from Essex! However this talented lady is no newbie to the music business she had been working hard for some time now penning songs for the likes of Alicia Keys and Miley Cyrus. 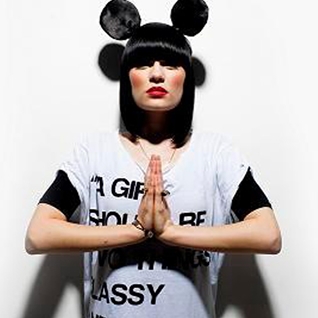 Not only does Jessie J have an incredible voice but with her eclectic and funky sense of style I'm sure will soon have her gracing our fashion magazines too. I love Jessie's poker straight, ink black trade mark bob, it has me hunting down a new wig to add to my collection.